What a week, what a weekend!! Reaching 500 readers mark on my birthday! You really made my day so this is my special thank you. 5 giveaways for you, all of my faves, now 500 stong and counting. Since my favorite craft medium is fabrics, I've put together a little sewing kit for you. 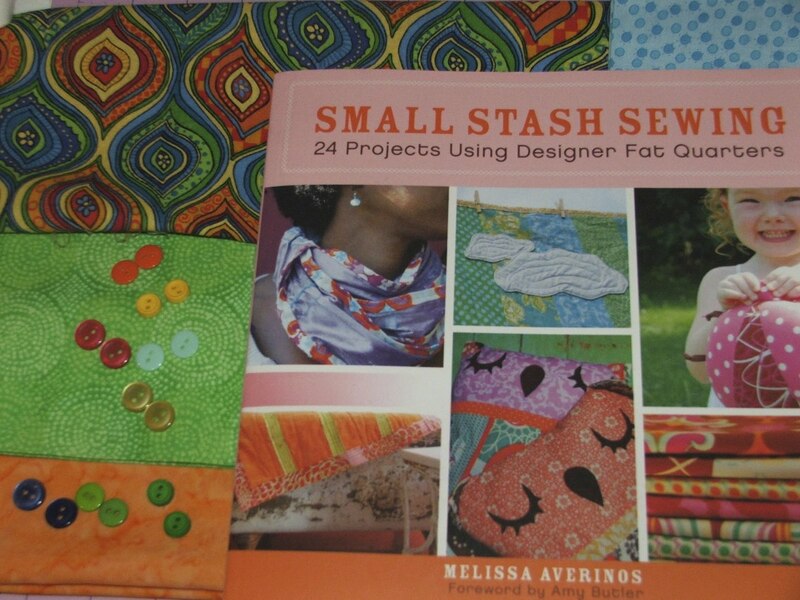 "Sewing with designer fat quarters is a great way to stretch your dollar without sacrificing quality. Now, Melissa Averinos, the face behind the popular Yummy Goods blog and one of the newest Free Spirit fabric designers, brings you a collection of projects dedicated specifically to making the most of your designer fat quarters. From belts to handbags, from children‘s gifts to a laundry hamper bag, and much, much more, Small Stash Sewing gives you 25 sewing projects to make unique pieces that showcase your favorite, longed-for designer fabrics"
- Mandatory entry : be a Google Friend Connect follower of Artfully Caroline and leave a comment on this post telling me about what it is you love in blogging and following craft blogs. This giveaway will run from today until Monday May 23rd at 10PM EST. The winner will be picked out with random.org and announced the next day. Congrats! I like blogging because it tends to help me stay focused and creative. I like to have something finished every week to put in a party. I also love to read everyones blogs for inspiration and a sense of community. Happy Birthday! Thank you for the chance at a sweet giveaway! I follow craft blogs for the inspiration they give me. I also follow them because you never know when you might make contact with someone who ends up being a great friend. I love following craft blogs and finding new ideas to keep me busy. Looks like a fun book of ideas to make with fat quarters. I love following quilting and fabric blogs to get ideas and inspired! Congratulations on reaching 500+! I am a follower. Thanks for a sweet giveaway! I'm a follower. Love blogging because of all the shared creativity! We can always use new inspiration, right? Thanks for the chance to win! I follow because I love seeing all the amazing talent that is out there. I also pull inspiration for my own projects from others work, like how someone might pair colors that I never thought of or a particular fabric may inspire me. I am not only a follower, but a lurker. I love seeing the creativity of all thre blogs I follow. Sometimes I even try to make some of the pretties I see. I do not have a blog. I love blogging because I get to 'meet' like minded folk from all over the world and I love following craft blogs to see all the fantastic makes. Reading and following craft blogs is, for me, all about the inspiration and sense of community between creative and talented women sharing their gifts. ooooh I want to win this so badly!!!! I love blogging, I love how it makes me see things in a better light, with a different slant. I enjoy viewing my life through the lens of my modest camera. I blog and follow blogs to learn how to make the stuff I admire in stores. Since I started, I've been learning to sew, paint, crochet and redecorate. I love that the amazing, talented women out there make otherwise intimidating projects accessible and leave me feeling like, "Hey ... I can do that." 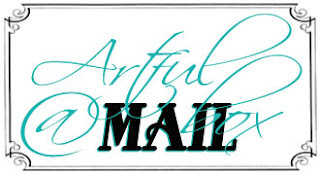 I follow Artfully Caroline on FB! i blog because i think blog is one of many media for sharing what we have/know to the world. i like craft because it like art. we create beautiful thing and people adore it. I like looking at craft blogs to get new ideas and see what other people are thinking of. I love bookmarking great ideas for later! I love crafting blogs because of the infinite amount of inspiration. I am new to the crafting world and because of these blogs, I am obsessed with crafting. The possibilities are endless!!! I love blogging because it is a way to interact with others who have the same interests - and because I always learn something new! I am follower # 518! Happy birthday! I like you on Facebook! Other people are SO Much more creative than me! If I didn't have blogs to follow I would never think of these things on my own! I follow your blog and I love blogging because it gives me a chance to share things I have learned!